It seems like a simple enough question: What is money made of? The answer, however, is complex, very complex, in fact. So complex that I am only going to briefly address it. Money is any object that is generally accepted as payment for goods and services and repayment of debts in a given country or socio-economic context. The main functions of money are distinguished as: a medium of exchange; a unit of account; a store of value; and, occasionally, a standard of deferred payment. 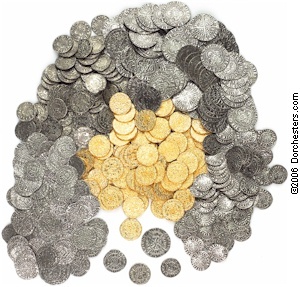 Money originated as commodity money, but nearly all contemporary money systems are based on fiat money. 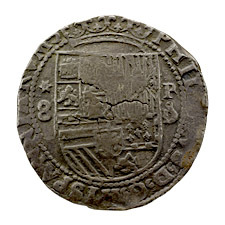 Fiat money is without intrinsic use value as a physical commodity, and derives its value by being declared by a government to be legal tender; that is, it must be accepted as a form of payment within the boundaries of the country, for “all debts, public and private”. The money supply of a country consists of currency (banknotes and coins) and demand deposits or ‘bank money’ (the balance held in checking accounts and savings accounts). These demand deposits usually account for a much larger part of the money supply than currency. Bank money is intangible and exists only in the form of various bank records. Despite being intangible, bank money still performs the basic functions of money, being generally accepted as a form of payment. So, assuming the definition of money is accurate, that “fiat money” is apparently the “gold standard” (of course, gold is no longer the standard for basing the wealth or value of a country’s economy), is “intangible and exists only in the form of various bank records,” my opening question can again be asked: What is money made of? How much is an electron/positron worth? Or a photon? Or a radio wave? Take a look at what (graphically) is the reality of our money today. When I get paid, my company transfers my “pay check” to my bank account using electrons, which are stored as organized electrons inside a silicon chip that is connected to other microwires. When I go to the grocery store or the gas station and enter the code for my debit or credit card organized packets of electrons flow to my account, checks to see that I have sufficient electrons arranged to virtually verify there is enough electronically defined money in my account that it can subtract the correct amount and then add it to the store’s account. That raises an interesting question. Is the deficit real or virtual? Are the words being thrown around that we are trillions of dollars in debt based on reality? How do we really know what the deficit is, if it exists at all, beyond a vituality that has no tangibility? As the nation with the largest Gross Domestic Product in the world, what would happen to the country, indeed the world, if we hit the reset button? And can anyone really prove what would happen? It’s not like we have to open Fort Knox and hand out gold ingots to all the money we supposedly own ourselves? Where is it written in stone that we have to pay huge sums in interest on this virtual debt? And if it is only written by an act of legislation, why can’t it be changed? Many economists state that we are in a liquidity trap. In its original conception, a liquidity trap results when demand for money becomes infinitely elastic (i.e. where the demand curve for money is horizontal) so that further injections of money into the economy will not serve to further lower interest rates. Under the narrow version of Keynesian theory in which this arises, it is specified that monetary policy affects the economy only through its effect on interest rates. Thus, if an economy enters a liquidity trap, further increases in the money stock will fail to further lower interest rates and, therefore, fail to stimulate. Dr. Paul Krugman, Nobel Prize Laureate in Economics, Princeton University professor and New York Times columnist, has stated that inflation targeting as the solution to a liquidity trap, “most nearly approaches the usual goal of modern stabilization policy, which is to provide adequate demand in a clean, unobtrusive way that does not distort the allocation of resources.” (Krugman, 2009). [G]overnments can improve the outcome by well-chosen interventions. Stiglitz argues that when families and firms seek to buy too little compared to what the economy can produce, governments can fight recessions and depressions by using expansionary monetary and fiscal policies to spur the demand for goods and services. At the microeconomic level, governments can regulate banks and other financial institutions to keep them sound. They can also use tax policy to steer investment into more productive industries and trade policies to allow new industries to mature to the point at which they can survive foreign competition. And governments can use a variety of devices, ranging from job creation to manpower training to welfare assistance, to put unemployed labor back to work and cushion human hardship. The key issue, in light of our living in an age in which money is virtual, that it is almost a literal description of currency to call it electrons or photons, the rules for how to manage the debt and the interest we pay on it is for all intents and purposes, purely arbitrary. At the same time, the rules provide a basis for the orderly exchange of goods and services. Despite this need for order, the pressure on the American public continues to grow. If, for example, Congress decided to decrease the amount of interest we pay on the national deficit by even half a percentage point (it is now approximately 3%) it would pump billions into the economy, freeing up the suppression of demand especially on the middle class. It would be a de facto tax break that might result in the reduction in the deficit more quickly. 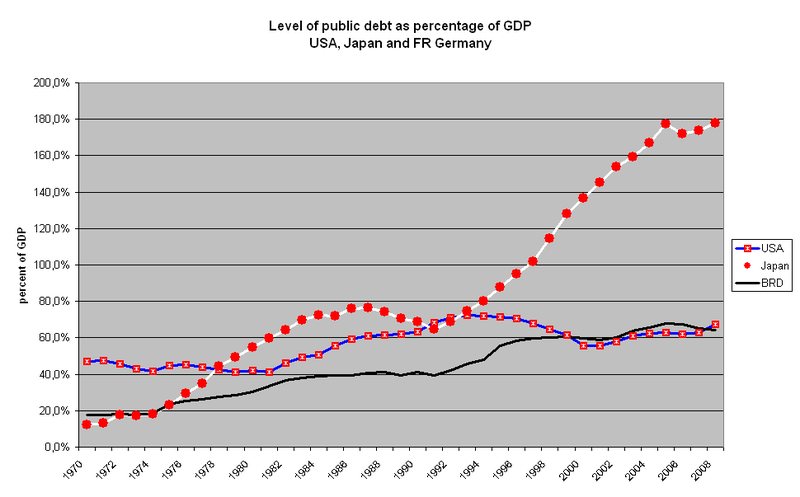 Debt as a Percentage of GDP: USA, Japan, Germany. Image Courtesy: Alex1011. I’m still thinking about this idea and its implications. It might be unworkable. It might be conceptually accurate but not possible to implement. But as you can see from the chart above, the level of public debt as of 2009 stands at about 62-63% of the nation’s GDP. And though the U.S. has the largest economy in the world with a GDP of $14.26 trillion over three times that of Japan and Germany, that percentage roughly calculates as ≈$8.9 trillion. As of today, the United States’ national debt is $13,795,134,710,938.49. The total interest bearing debt for the country in October 2010 is 3.047%. This interest rate has been falling by a few tenths of a percent year by year. For instance, the interest in October 2008 was 4.009%, and a year later, 3.362%. These decreases represent substantial billions of dollars of relief. The Treasury securities issued to the public and to the Government Trust Funds (Intragovernmental Holdings) then become part of the total debt. For information about the deficit, visit the Financial Management Service web site to view the Monthly Treasury Statement of Receipts and Outlays of the United States Government (MTS). The question I ponder is why is the United States budget designed so it is forced to “borrow money to raise cash needed to keep the Government operating”? In a reality of virtual money, what is the purpose of this system, which from my perspective appears to be at best archaic and at worst a system of financing to guarantee an eventual national financial implosion? Is the debt real or virtual? Is the money we supposedly owe ourselves tangible tender or bank fiat money? If it is the latter, what is to prevent us from taking a revolutionary step of redesigning what the dollar really is? 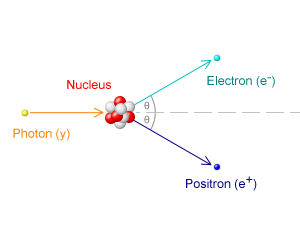 As I asked at the beginning, how much is an electron worth? Watch for more in the coming weeks. This entry was posted in Deficit, Deficit reduction, Extreme Thinkover, Paul Krugman, Recession and tagged currency, debt, deficit, deficit reduction, Extreme Thinkover, inflation targeting, Joseph Stiglitz, Keynesian economics, liquidity trap, lower taxes, macroeconomics, middle class tax relief, monetary policy, Paul Krugman, Political Commentary by Dr. David Waggoner, PhD. Bookmark the permalink.